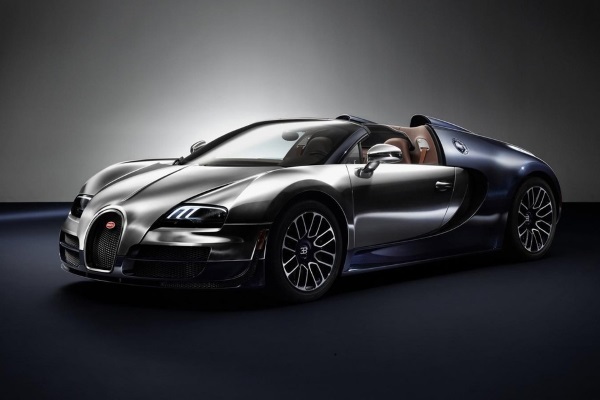 Synonymous with super sports car, this Bugatti Veyron 16.4 Grand Sport Vitesse Ettore Bugatti is being released as part of a classic series of fewer than 500 units. Only three vehicles of this kind are offered on the market. A truly explosive gem! This model is a living tribute to Bugatti’s founder, Ettore Bugatti. He is described as being a visionary, who cultivated a fervent desire to build the most beautiful, most expensive and best-performing cars in the world. We now know that he succeeded in doing exactly that: the vehicles that bear his name have earned a special place in the automotive world. For the car’s finish, a shade combining silver and blue, the designer opted for hand-polished aluminium and carbon fibre. As for the interior, it is made from all-natural leather.